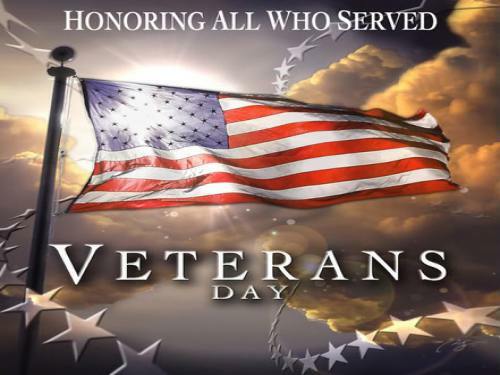 Veterans Day 2014 is coming with deals and freebies for everything from wings to drinks and desserts. Before you try to redeem these deals, it’s a good idea to call ahead and note limitations and restrictions. Some of these deals are reserved for those who have served in the American military and their families, while other promotions are open to everyone. Active-duty and retired military are invited to Hooters to dine for free on November 11: get a free entree by presenting a military ID or proof of service. The World of Coca-Cola in Atlanta offers free admission to members of the Armed Forces (active duty, reserves and retirees) year-round. In honor of Veterans Day, from November 8 through Sunday, November 16, members of the Armed Forces may also purchase up to four half-price general admission tickets for their friends and family. Military members and retirees can present their valid Armed Forces ID cards at the World of Coca-Cola ticket windows. On November 11, Outback is honoring all active and retired military personnel with a free Bloomin’ Onion and a beverage. You must show a valid military ID at participating restaurants. On November 11, veterans get a free Double Chocolate Fudge Coca-Cola Cake dessert. If you’re not a vet and you buy the dessert or other retail items, 10 percent of all proceeds will be donated to the USO. All-day on November 11, all veterans can get a free chocolate chip cookie in Dallas, Houston and San Antonio from DoubleTree by Hilton, with or without a reservation. The salon chain is offering veterans a free hair cut from Tuesday through December 31, 2014. Customers who come in for a service on Veterans Day get a free haircut card to give to veterans, redeemable through December 31. Marie Callender’s is donating to send more comforts from home to the U.S. military for Veterans Day. The company teamed up with USO2GO for the Comforts From Home program, an initiative that delivers care kits with electronics, games, sports gear and more to troops in remote global locations. With the code entry found on specially-marked packages of Marie’s comfort foods like chicken pot pies and apple pies, a donation is made. Through Nov. 16, Sleep Number is offering current and past military personnel $700 off on a Sleep Number m7 bed plus 24-month financing and free standard shipping, plus other Sleep Number military offers.